I think I should have been more precise in my wishes in my last post, Until Next Winter….what I meant to say was I can’t wait until next winter at Pungo. I think I have had enough of whatever is happening out there right now here in the Piedmont and many of us are getting thin on our winter-patience. The snow this week was nice, although it prevented travel for many in this neighborhood because of icy roads, especially on the shady hills. But the freezing rain this morning, and now the cold rain, well, I could use a break from this as I am sure most of you could. 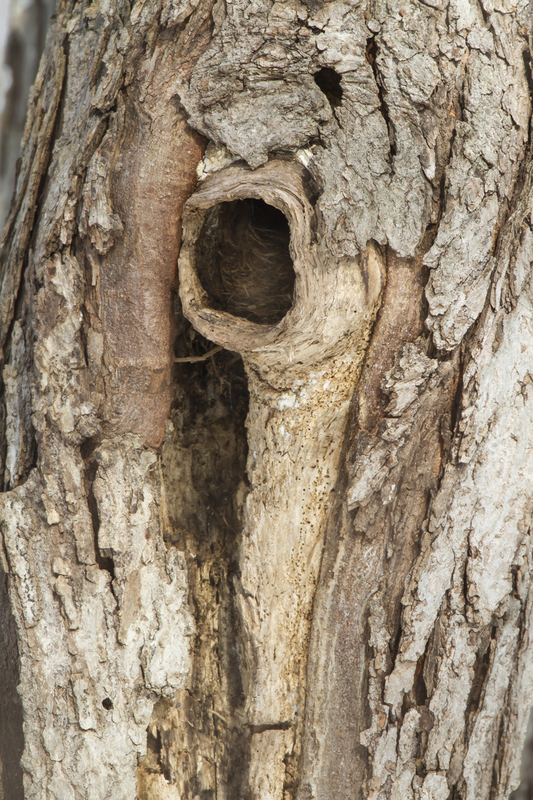 Yesterday afternoon I went out looking for a photo opportunity and ran across this cavity in a maple tree out front. I have seen squirrels running in and out on occasion, so I decided to wait awhile and see what might happen. After about 20 minutes, a tiny head popped out of the hole and stared blankly at the outside world. A young Gray Squirrel surveyed the scene, probably thinking the same thing I was…boy, it’s cold out here. The squirrel then turned and faced me for a few seconds, no doubt wondering what I was doing out in these conditions. 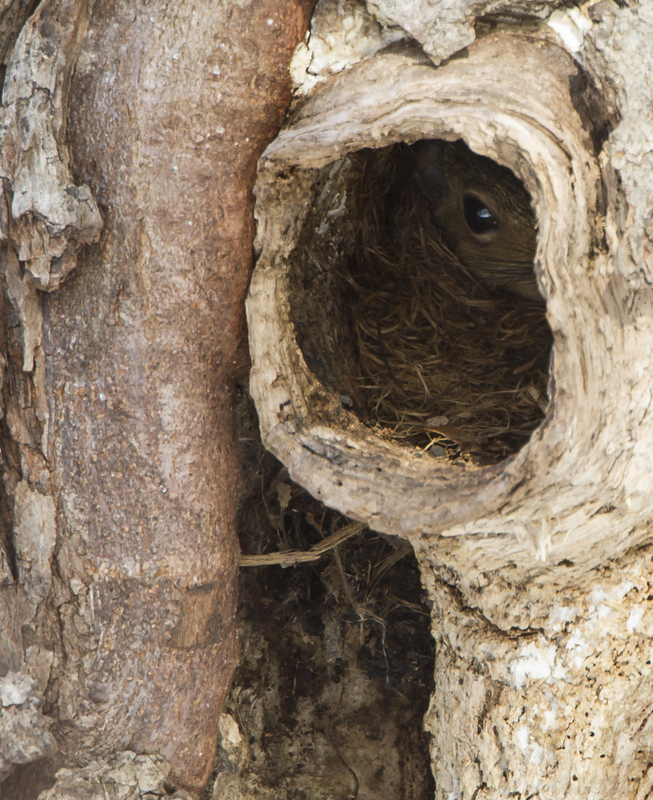 The youngster quickly retreated back into the warmth of its shredded bark-lined domicile inside the safety of the tree trunk. I then heard that raspy chirring tone they use when upset. I’m not sure, but I think it was saying, enough already…I am guessing it had heard the forecast for today. 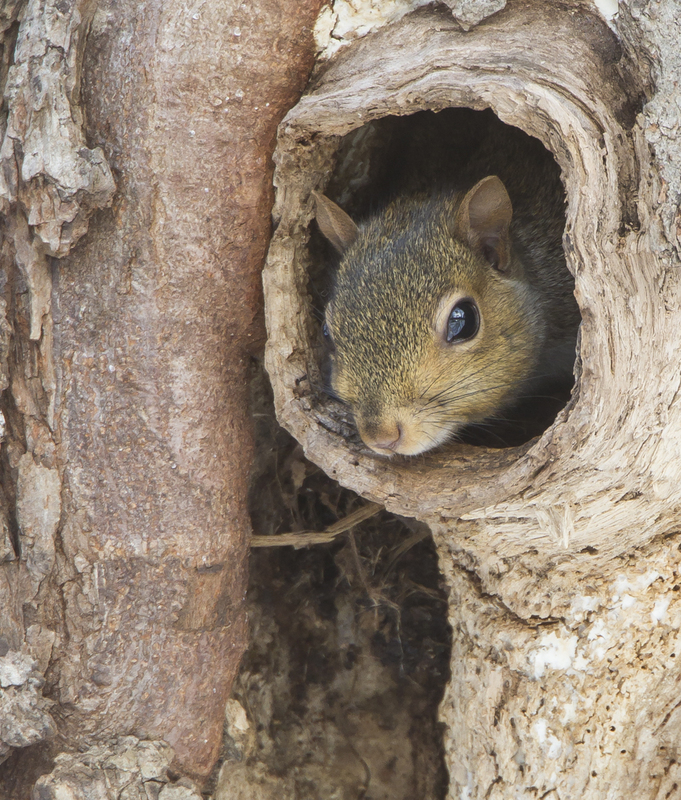 This entry was posted in Natural History and tagged gray squirrel by roadsendnaturalist. Bookmark the permalink. Amusing and charming and I feel the same as that squirrel……ENOUGH ALREADY INDEED!! Will not entertain any complaints from Mr. Squirrel. He does not have to drive anywhere to get to work!!!!!!!!!!!!!!!!!!!! 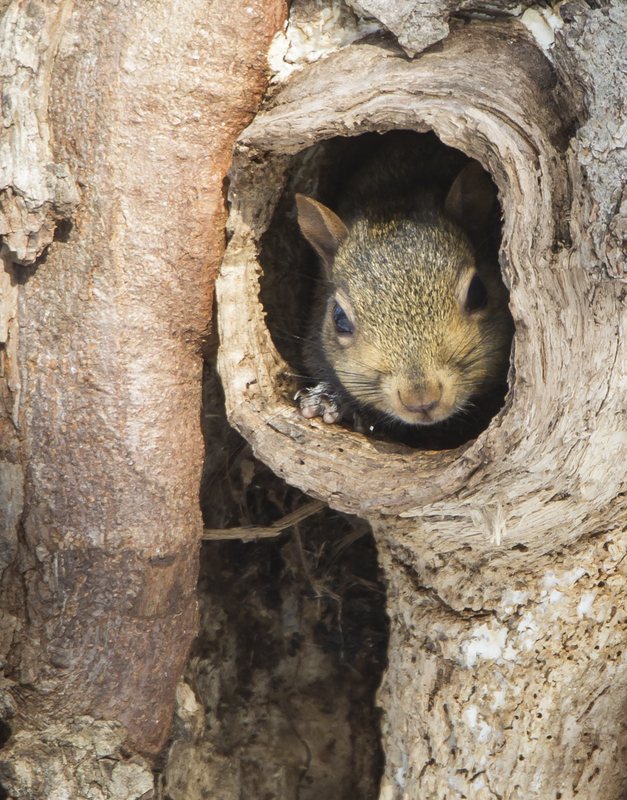 Adorable….love that little squirrel peeking out! Thanks all. I think that squirrel may still be scolding the weather this morning…very wet and foggy, but at least the roads seem passable.